Yes you read it right. 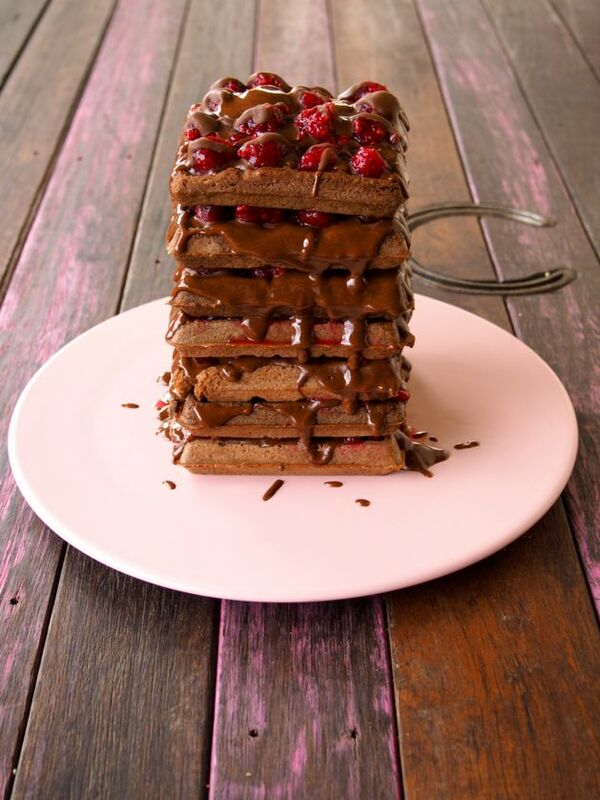 We made a Paleo Waffle Cake and it’s all kinds of drool worthy, crazy, amazing, delicious! 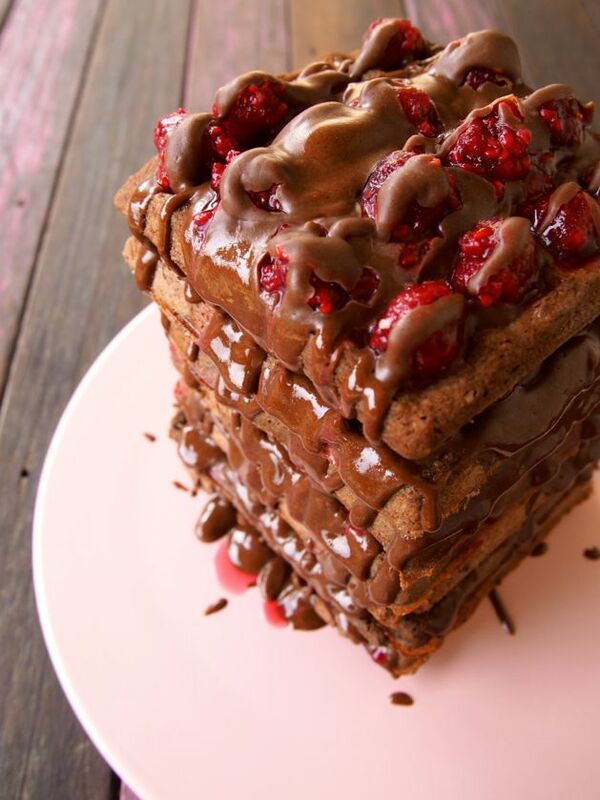 This Paleo Waffle Cake Is EPIC! In fact, this was the first time we’d even made paleo waffles so of course we needed to do something epic to celebrate… so the obvious thing to do was to make our waffles in to a cake! Duh! This cake was also a HUGE celebration for the launch of our new book: Make It Merry… we read the final proof while eating this cake… and if you want to know more about it (basically 70 amazing drool worthy recipes in a book)… well you can check it out here! We’d wanted to make waffles for SO long. 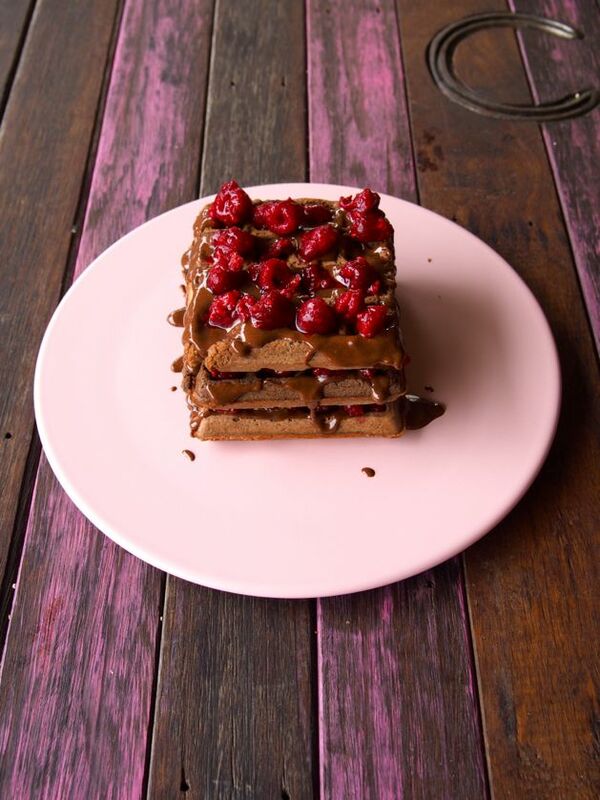 We were stuck between… ahhh these paleo waffles look so amazing on instagram and we neeeeeed them in our lives and then we were like but we hate pointless kitchen appliances that take up too much cupboard space in our teeny tiny kitchen! And really, this cupboard space is much better used for food… especially cacao, pumpkin and coconut (these are our current favourite foods). Good advice PaleOMG… we read, we listened and the waffle iron has changed our lives. Why? Because we get to eat waffles. All. The. Time. We always say our recipes are quick, easy and delish. Well we’ll be honest, there’s nothing quick about this recipe. But it’s definitely easy and it’s 100% OH SO DELICIOUS! 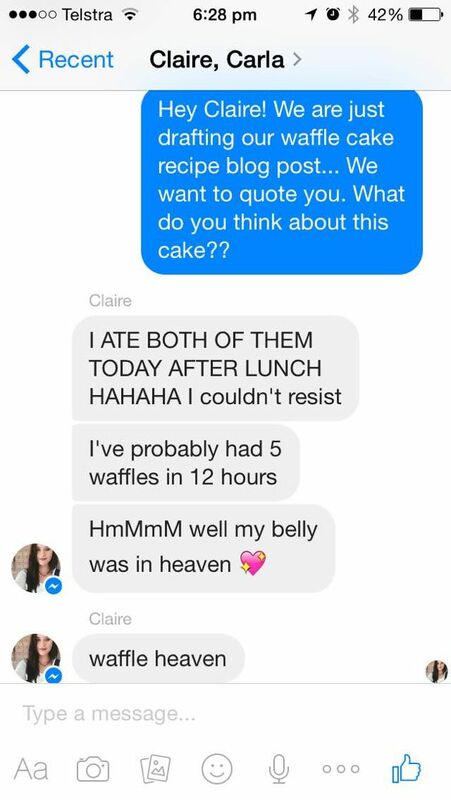 We really think you should give it a try, everyone will be super impressed with your waffle cake cooking skills. Mmm yeah, we think she liked them! 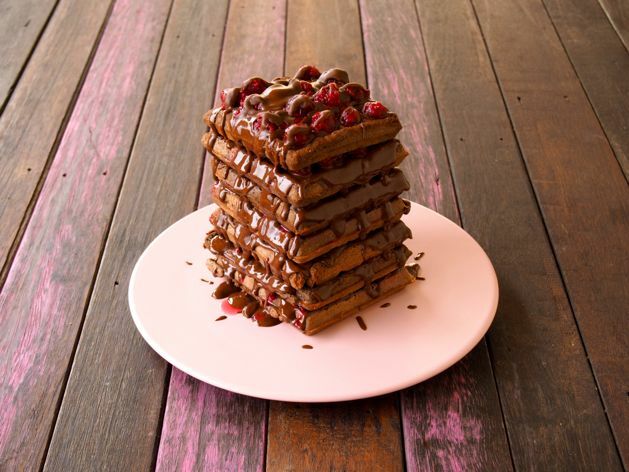 Here’s the step-by-step process to make your epic Paleo Waffle Cake! First of all… you’ll need waffles… duh! 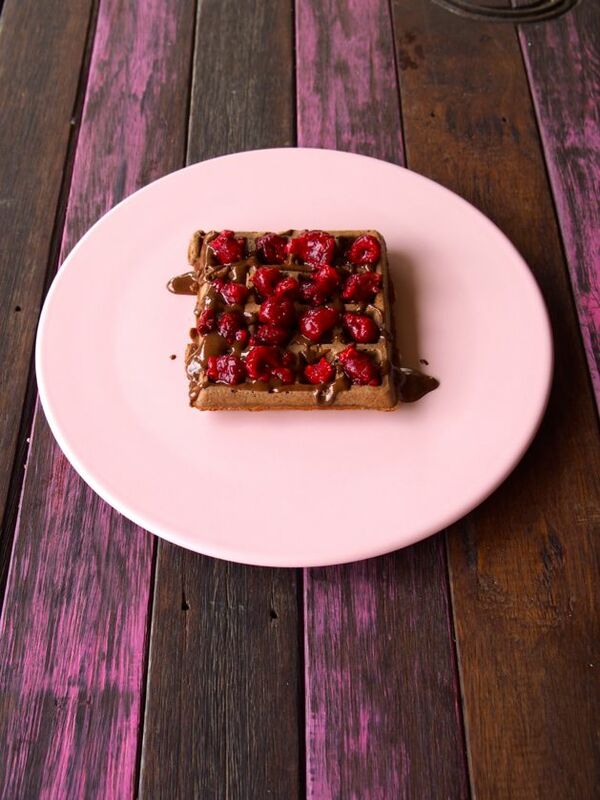 So make up a batch of our Paleo Chocolate Waffles and allow them to cool. THEN! The last thing you will need is about 2 cups of raspberries, fresh or frozen (just thaw them first). 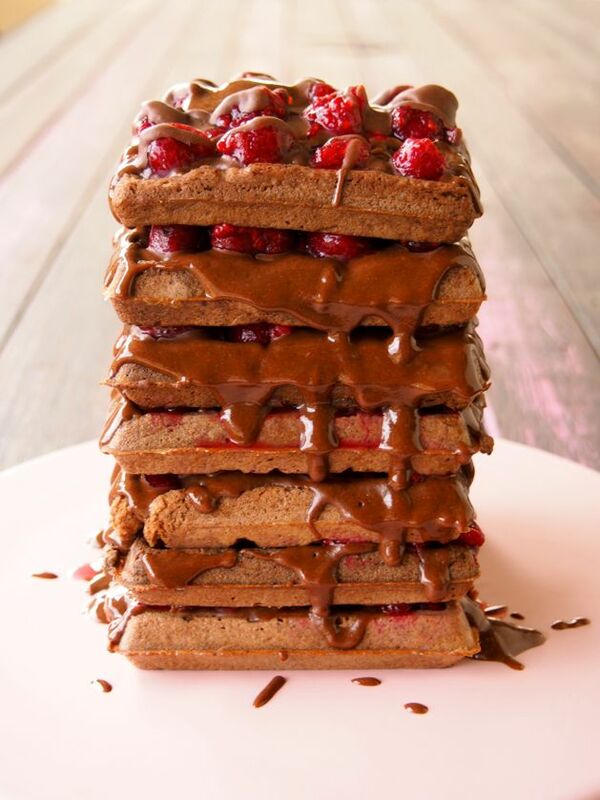 Keep on layering it up… make sure your raspberries are kind of even… we don’t want no Leaning Tower Of Waffles. THE FINAL TOWER OF WAFFLE! 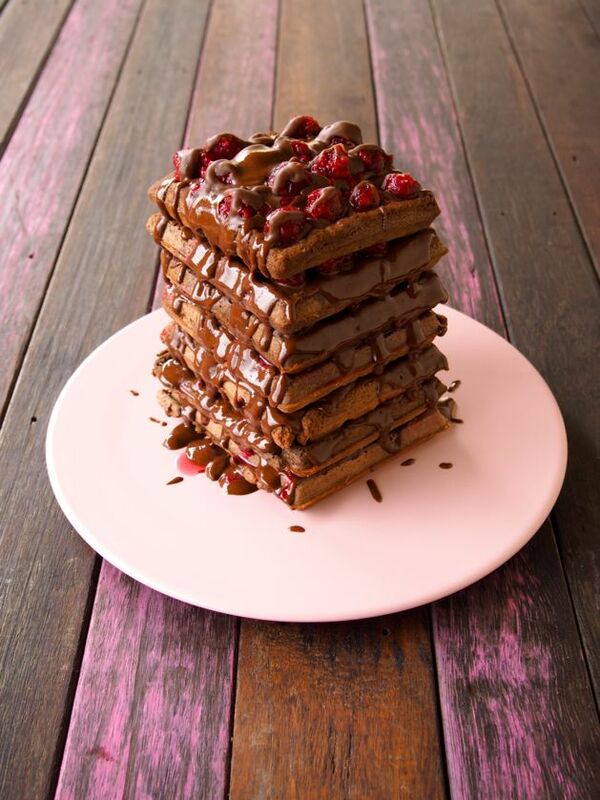 Aka Paleo Waffle Cake… drizzle ALL the extra choccy nut butter on top… because that’s just freaking YUM and obvious. If you also like… you could drizzle with maple syrup… because… nope, no reason required for drizzled maple syrup. If you make this cake… we seriously want to see your creations! 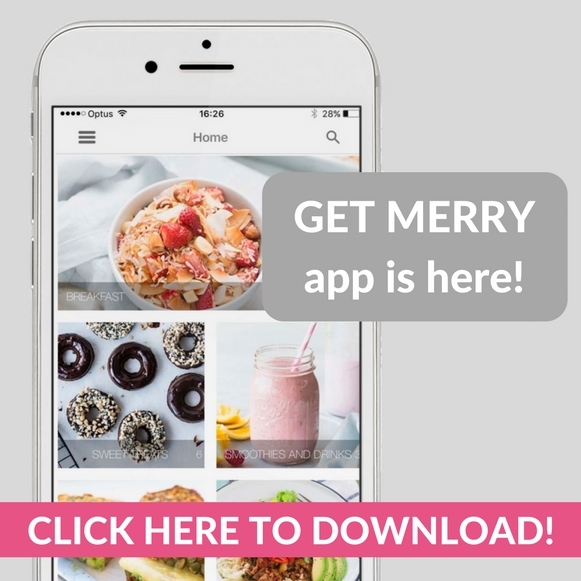 Pretty please share your awesome photos on social media and use #themerrymakersisters! Tag us on Instagram @themerrymakersisters and we will most definitely share our faves!